Lou Ferrigno is having a busy few weeks! He has done some voice work for the Hulk in Avengers: Age of Ultron, has another film, Avengers Grimm, releasing on DVD and to Netflix, and will be appearing at Wizard World Las Vegas next weekend. 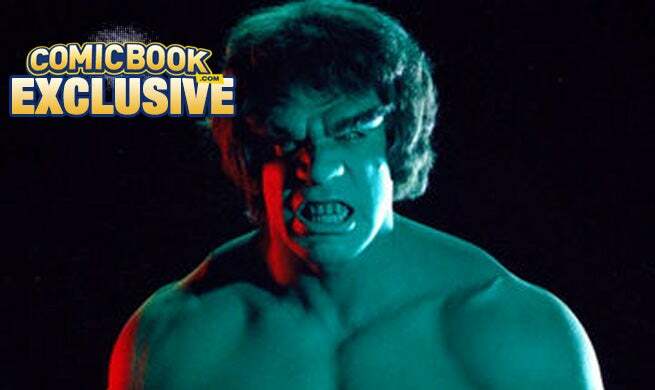 On Monday, ComicBook.com caught up with the former Incredible Hulk for an exclusive interview. CB: So, I understand you'll be at Wizard World Las Vegas? LF: Yeah, I'll be there all 3 days signing autographs. Oh, cool! You do a lot of these conventions. Yeah, mostly the Wizards shows because I enjoy doing them. What do you enjoy most about these appearances? Connecting with the fans. You know, they want to take a picture with me because I'm the only super hero that's got the real muscles. They enjoy talking to me, and their parents, grandkids come… They walk away with a smile on their face. I enjoy talking to them because as a kid I didn't have anything like this. It gives me a chance to relive my childhood. That's a great attitude. I bet a lot of fans appreciate that. Avengers: Age of Ultron is right around the corner. Everyone is excited about that. Have you seen it yet? No, not yet. I'm gonna go see it tonight- at the premiere tonight in Hollywood. I know you did some work on it, the Hulk's voice. In the comics the Hulk talks, not just Bruce Banner. Can we expect to see or hear some talking from the Hulk in the movies with your voice work? They have a library with my voices but a contract I can't really talk about it until after the release. They have a library of my voices and growls and everything. They always use that in everything. Was that your voice in the first Avengers that said, "Puny God?" Is there any other hero of the thousands of comic book characters who you would like to play besides the Hulk? I think I would probably maybe play Superman's father. Or maybe the alter ego of the Hulk, maybe between Bruce Banner and the Hulk. Cool. Maybe Red Hulk.. Grey Hulk. You never know. I think they're gonna have to... because Hulk is a bigger franchise for Disney, I think what's gonna happen out the Avengers is they're gonna do a solo Hulk movie because Mark Ruffalo is a wonderful actor and I think they're gonna take advantage of it. Is there any comic book story line you would hope they take for a solo Hulk movie? Yeah, I wouldn't know that yet. I mean, I have no information about that. Are you a fan of the Hulk comic books? Yeah, when I was young… I mean, a lot of times with these conventions... I sign comic books all the time, so I look at the comic books when they bring them to the table. It's interesting how many fans love the comics because they get my signature, you know? The original Hulk. CGI can't sign autographs. You got to meet Mark Ruffalo at San Diego Comic Con for the first time, right? Yes. Hopefully I meet him tonight because tonight I'll be on the red carpet with Stan Lee. I've been with Stan Lee all weekend. That's pretty cool. I got to talk to Stan Lee last week, what a guy! Oh my god- the best! Did you maybe intimidate Mark Ruffalo, like if he was taking your daughter on a date or something? No, I think he was excited to meet me because you know, for the first time… I like his work, I've always been a fan of the Hulk, and at San Diego Comic Con we had a chance to meet. So, are you a movie fan aside from super hero films? Yeah, I watch a lot of different movies. I love the Marvel movies. Did you happen to see Furious 7? Not yet, I want to see it. Right now it's been kind of crazy, I'll probably wait a couple weeks to go see it. I heard about it though. Did you hear about the Incredible Hulk cameo on TV in there? Yes! It was great. I loved it. Did they tell you that was gonna be in there before they released it or was that a surprise? Yeah, they wanted to get my release and everything to the media. Because they told me about it and I said great, the more power… it's great to be involved with the movie. You know, with The Rock watching it… So, I thought it was great to be a part of it because Hulk goes on forever. You're in a new movie, another Avengers movie, but it's not Marvel! Avengers Grimm - you're playing Iron John, what can we expect from that? Yeah, that's great because the other Disney characters. Right now, it just came out on DVD and also Netflix. I like the movie because it gave me a chance to show a special character. Now, if the Hulk were to get in a fight with Henry Cavill's Superman, who wins? 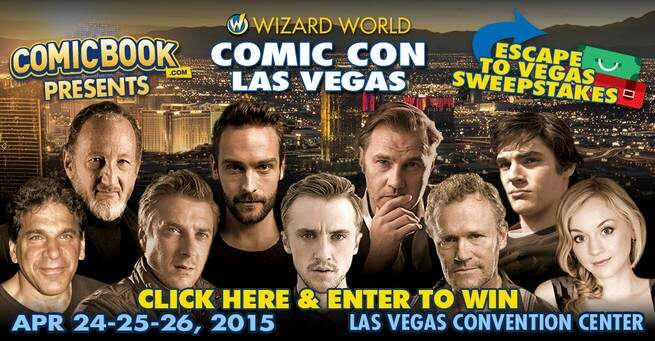 Want to win a trip to Wizard World Las Vegas to meet some of your favorite stars? Enter the contest by clicking the above image or right here! Your flight, hotel & more will be included!